I will admit, I am always looking for new ways to eat Nutella. It is probably one of the tastiest spreads out there, and I will admit to occasionally eating it straight from the jar. No, not my proudest moments. 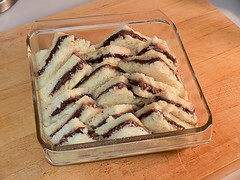 Anyway, I have been up to my eyeballs in pies this week so when it came time to bake something sweet just for me, and not for testing, I decided Nutella would have to be involved. 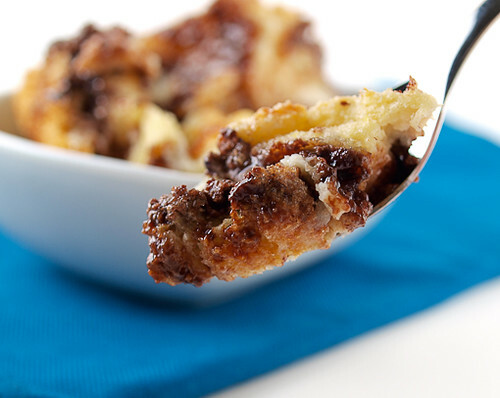 This is a variation on a traditional English bread and butter pudding. 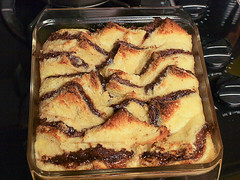 In this case I replaced the butter with Nutella. I happened to have raspberry jam in the fridge so I used that also. 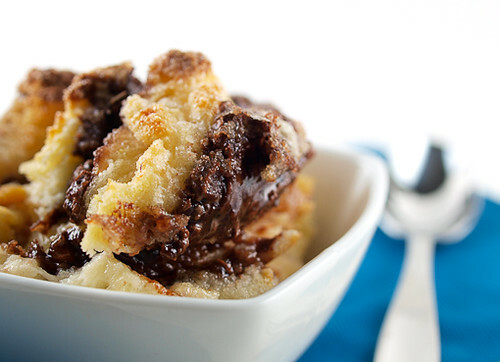 Nutella and raspberry is a brilliant combination, if you did not know, and adding them to a creamy bread pudding is just insanely good. You can put this together in minutes and really any berry jam will work here. 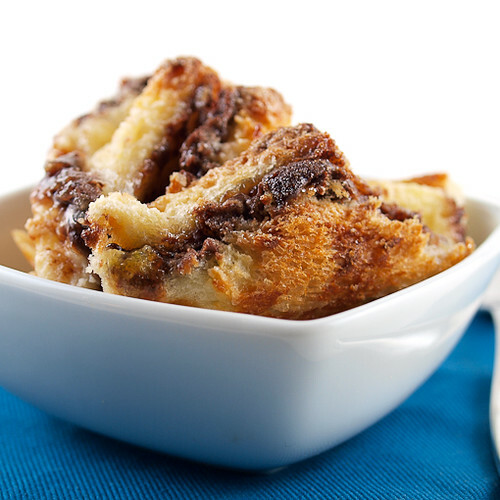 This could easily become a staple dessert, and breakfast, in my house. Heat the oven to 350 F and spray a 9″x9″ pan with non-stick cooking spray. 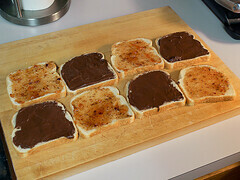 Spread the Nutella evenly over four slices of the bread. Spread the raspberry jam on the other four slices of bread. 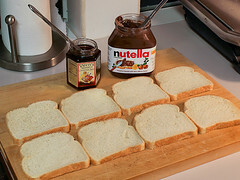 Combine the bread into four Nutella and Raspberry jam sandwiches. 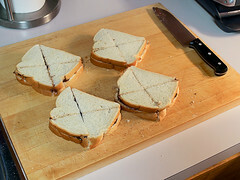 Slice each sandwich into four triangles and tuck them into the prepared pan so the points face up. Whisk together the milk, cream, eggs, sugar, and vanilla and pour it over the sandwiches. Dust the top with extra sugar then let stand for ten minutes. 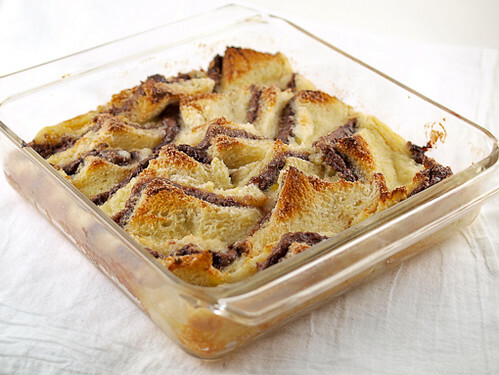 Bake the pudding for 30 to 35 minutes, or until the custard is set and it reads an internal temperature of 160 F. Allow to cool for ten minutes before serving.